Ned Ludd is named after the 18th-century British anti-industrial folk legend, from which the term 'Luddite' springs. We pay homage to forgotten hand-crafted techniques and the European roots of great food and drink. Our goal is to work simply and preserve the spirit of the process. Our belief is that every ingredient we source has unique terroir. That each is a celebration of flavor derived from differences in the land from which it's grown. Seasonal ingredients are chosen carefully and every product is made from scratch. The foundation of our endeavor is a brick faced, wood fired oven. Not only our main heating element but truly the heart of the operation. Each plate is truly an expression of the Northwest seasons, and a celebration of the bounty of Oregon. 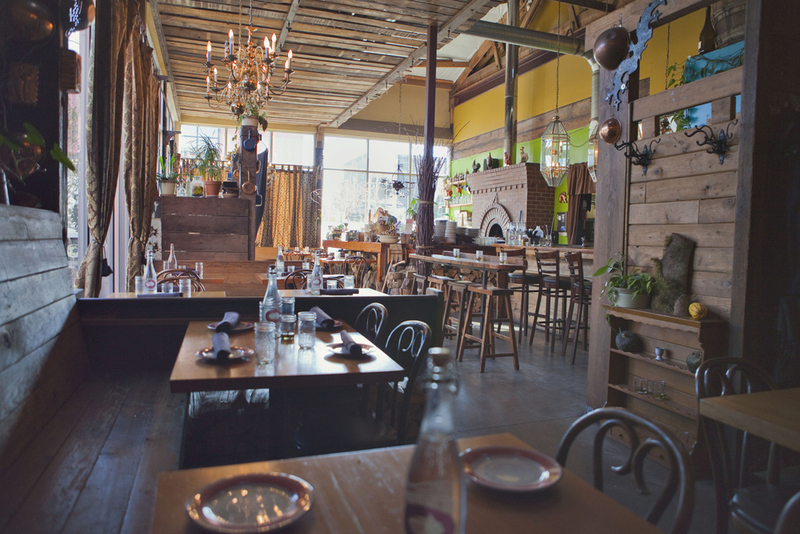 Filled with the glow of the fire and surrounded by copper pots, gnarled limbs, wooden stumps, ceramic chickens and a host of kitchen artifacts we hope the restaurant feels familiar or maybe even a bit like home. Hailing from Chicago, Rob comes to Ned Ludd from renowned Boka Restaurant Group. He got into cooking as an extremely hungry teenager left without a lot of parental supervision. Rob is a self-described food nerd. He backs up that claim with a national championship in the American Culinary Federation Knowledge Bowl from his time at Kendall College. In his free time, Rob enjoys going on long hikes with his girlfriend, swimming (poorly), archery target shooting (poorly), trading stocks (very poorly), and eating everything in sight. He's also a fierce oyster shuck-off competitor. Carlton is a native Texan. He is an educator turned Hospitality Professional. His career began in Austin, working for James Beard Finalist Bryce Gilmore of Odd Duck / Barley Swine. 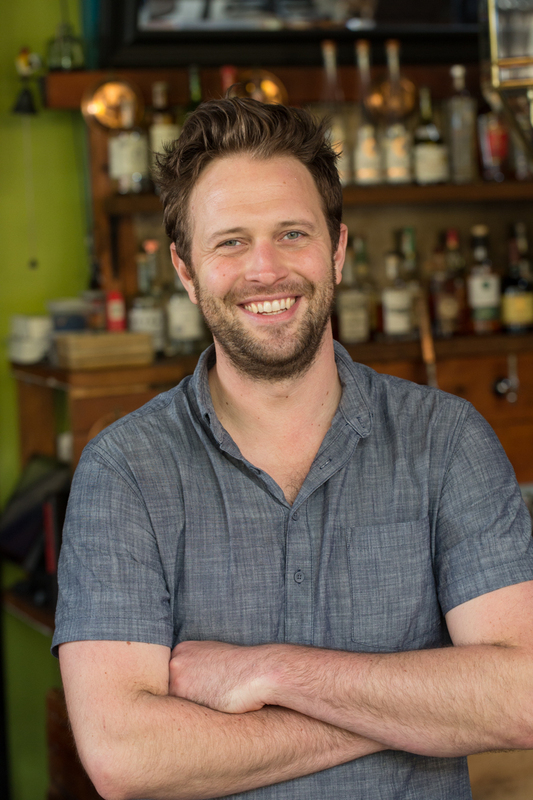 Carlton moved to Portland in 2014 and got right to work as Bar Manager of Tasty n Sons and then ran the short-lived but amazing Americano (Oregonian’s Bar of the Year for 2016). When not trying to make guests and staff laugh and have a good time, Carlton is usually walking around the streets of Portland, picking herbs and fruit out of people’s yards, and cooking. Books are good too. Stephanie was born and raised in Portland, Oregon, which makes her the unicorn of our team. While paying her early dues at a production firm as a glorified garbage schlepper, she fell in love with crafting unforgettable gatherings. This, paired with her affinity for food and wine, makes her an integral part of our team. When not working, Stephanie enjoys traveling with her husband, reading, entertaining and lovin' on her two dogs.